The Fleas are a Reading-based five-piece who meld vintage influences and fresh grooves, landing somewhere between The Kinks and the Pixies. 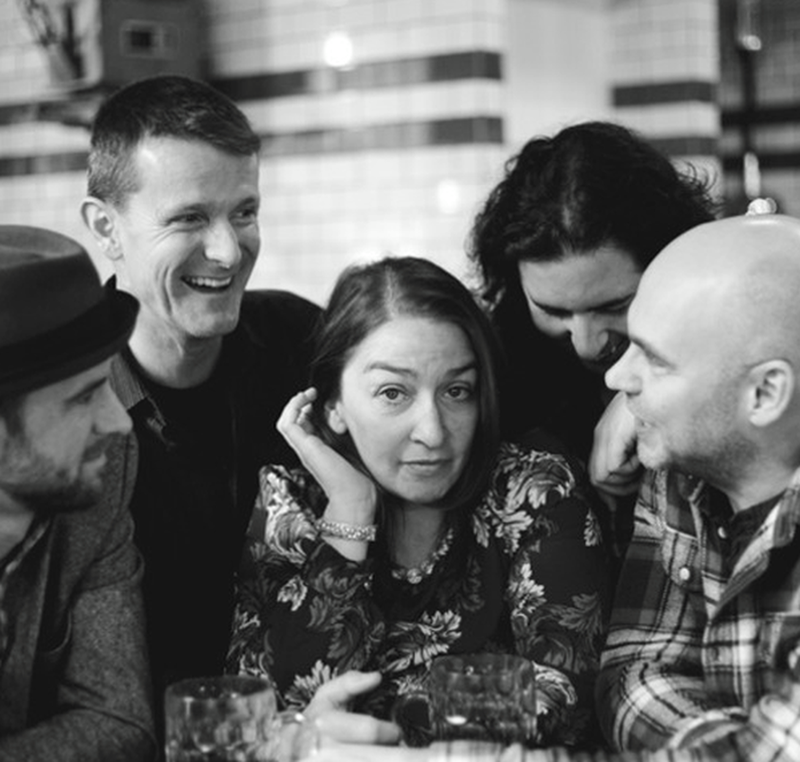 Their heady brew of expansive indie pop and funky folk-rock is elevated by an ear for inspirational melody, resulting in an irresistibly feel-good sound incorporating elements of The Decemberists, Arcade Fire, Elvis Costello and Kirsty MacColl. Vocalist Piers peppers his lyrics with worldly wisdom, his voice embellished by gorgeous three-part harmonies from percussionist Bernadette and drummer Mannie, who, with Woody on double-bass and Chris on guitar, form an Anglo-Argentine backbone that infuses the band’s indie instincts with touches of Latin and jazz. The Fleas’ set at Manchester’s In The City was one of a hatful of sought-after festival slots, and the band have been aired on BBC 6 Music, BBC Radio 2 and Absolute Radio, as well as performing two sessions for BBC Introducing. A forceful live proposition to boot, The Fleas are one bug you’d do well to catch this winter.